Like many fans, I enjoy going to conventions! 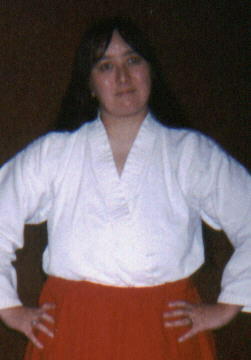 My introduction to the convention experience was probably a convention in Niagara Falls, NY sometime in the mid-1990s. 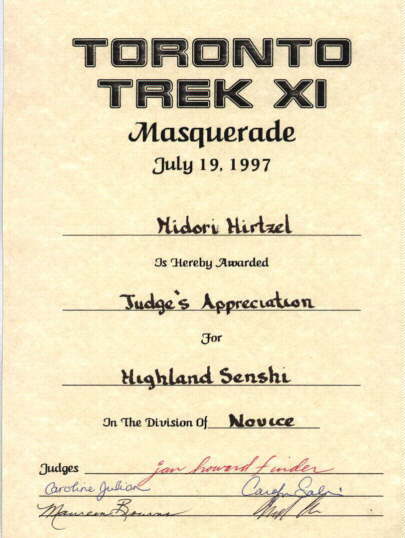 I'd gone there to see Alexander Siddig (née Siddig El-Fadil) -- Dr. Julian Bashir on Star Trek Deep Space 9 -- and though he wasn't able to make it due to personal reasons, I had a grand time anyway, even participating in the masquerade as part of a "chain gang" on the prison asteroid Rura Pente (a reference to Star Trek VI; trust me, if you've seen the movie, you'll understand). Then Nigel Bennet (of Forever Knight fame) appeared at Toronto Trek 9 in Etobicoke, Ontario. I was a big Forever Knight fan at the time, so naturally I went to the con. I had a wonderful time seeing not only Mr. Bennet, but Majel Barret Roddenberry (Christine Chapel in the original Star Trek, Lwaxana Troi in Star Trek: The Next Generation and Deep Space Nine, and the voice of the ship's computer in all three series) and Marc Alaimo (Gul Dukat in Deep Space Nine, a last-minute replacement for Nana Visitor, Major Kira in the same series). 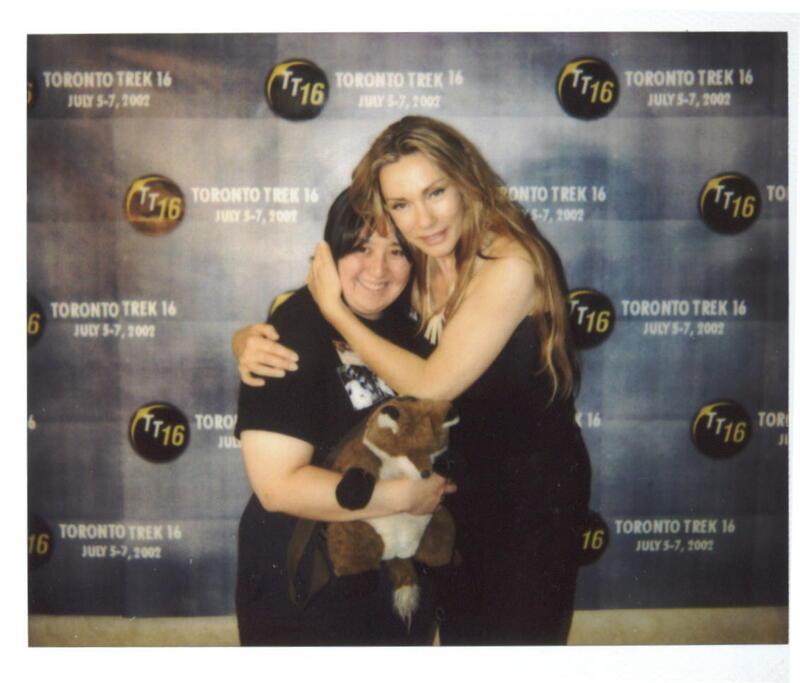 Here are some pictures from various conventions I've attended (most notably Toronto Trek). If you'd like to see a larger version, just click on the pictures. Me in the Dealer's Room at Toronto Trek with another convention-goer. 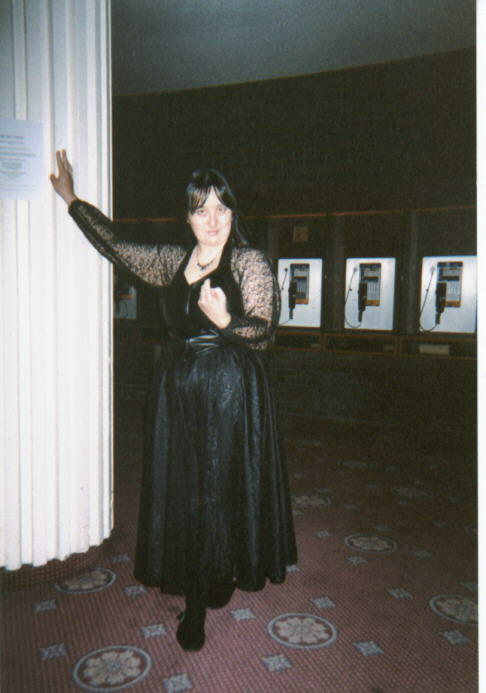 If I recall correctly, the man with her thought the contrast between the black and white lace dresses would make for a good picture. 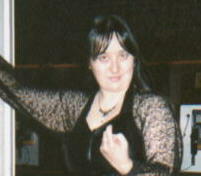 Me in what an acquaintance called my "vampire outfit" at Toronto Trek. 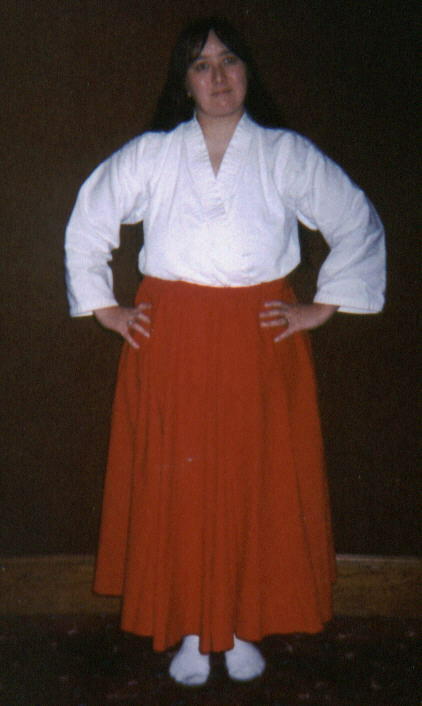 This is me in the Constellation Ballroom (I think) during Toronto Trek, dressed as a Japanese miko, or Shinto shrine maiden. 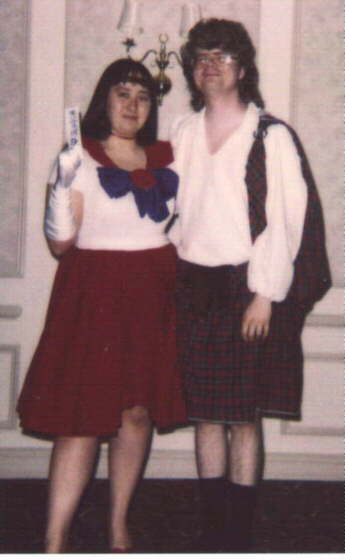 Me dressed as Gilly The Perky Goth (from John Kovalic's wonderful comic book, Dork Tower) at Toronto Trek 15. 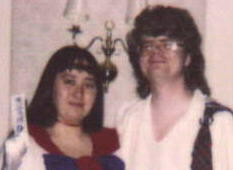 In July of 2002, Chris and I attended Toronto Trek 16 at the Regal Constellation Hotel in Etobicoke, Ontario. 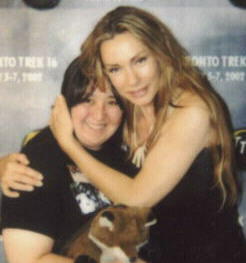 We had an absolutely wonderful time, especially since we got to see Virginia Hey, who played Pa'u Zhotoh Zhaan in one of our favorite series, Farscape. Check out the picture below! I also got an autograph from the fabulous Ms. Hey, as well as one from Amber Benson, who played Tara in Buffy the Vampire Slayer during the fourth through sixth seasons of that show. That autograph is kind of neat, I think, as it's not only signed by Ms. Benson, but also by Mary McVoy, the artist who created those fantastic paper dolls (I've got the entire BtVS set! :-). 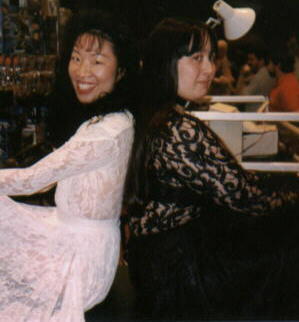 In July 2003, Chris and I attended Toronto Trek 17. I was especially thrilled, because one of the guests was Anthony Stewart Head (Giles on Buffy the Vampire Slayer)! He's a wonderful man, very funny, and has a lovely singing voice to boot! You can see a report on the convention in my Live Journal. I hope you've enjoyed this page; maybe someday I'll see you at a convention!